"It's not really worth a stop, though," the travel guide concludes, however. Watch the game LIVE on TSN4 and TSN Direct at 7:30pm et/4:30pm pt. "I've been to Panama once and it's just hostile," said new striker Terrence Boyd. "I'm not really looking forward to playing over there but then again at the same time I'm so much looking forward to the first competitive match for Toronto." "Playing in Central America always has its challenges," said Toronto coach Greg Vanney. "Sometimes the opposition is just one challenge and the conditions and different things become another challenge." "We've got to deal with the conditions but still play the way we want to play that's going to make us successful," he added. While the artificial turf at the compact Estadio Agustin Muquita Sanchez (capacity 3,000) is one such issue, the warm weather might be welcome after Toronto's deep freeze. The La Chorrera forecast calls for a Tuesday high of 32 Celsius — feeling more like 37 C — with temperatures dropping to 26 for the evening game. Compare that to Toronto where Tuesday's temperatures range from minus-12 to minus-3. "But we like those conditions a lot more than they will like these conditions," Vanney said. The long-range forecast for the return leg calls for a daytime high of minus-3 and a nighttime low of -10. The Panamanians might as well be playing on the planet Neptune. Vanney's scouting report on CAI is a team "pretty organized defensively," quick on the counter-attack and decent on set-pieces. "For us it's a smart thing to do," said Vanney. "It was good for us last year." A win and Toronto will meet either Mexico's Club Deportivo Toluca or Sporting Kansas City in the March quarterfinals. Its semifinal opponent would be the last team standing from Atlanta United versus C.S. Herediano (Costa Rica) and Mexico's Monterrey versus Alianza FC (El Salvador). Toronto's franchise record in the competition is 14-9-9. Last year, Toronto beat the Colorado Rapids and Mexico's Tigres UANL and Club America to reach the final in April when it lost via penalty shootout to Chivas Guadalajara. "Nobody's sitting around worried about last year anymore," Michael Bradley said. Toronto has been running up the air miles recently, electing to fly home from its California training camp last Wednesday and then charter to Panama on Sunday in order to give players some time at home. Newcomers like Boyd used the off-day Thursday to look for a place to live. "It is what it is ... We don't spend two seconds worrying about it," Bradley said of the logistics. 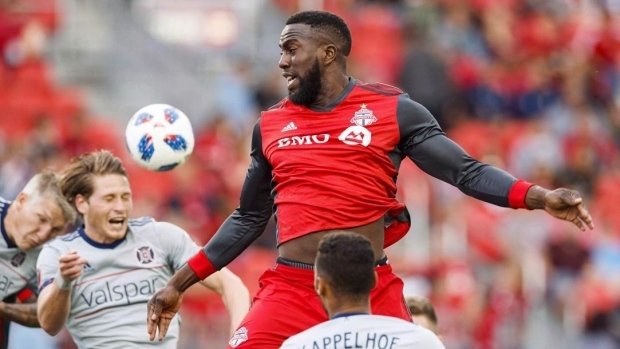 Striker Jozy Altidore, recovering from ankle surgery, is getting close to a return to action but won't play Tuesday. Boyd will likely lead the attack.